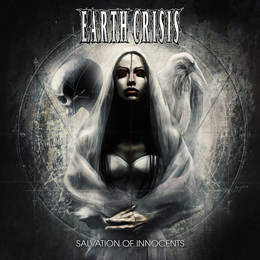 Earth Crisis is an American metalcore band from New York. The band originally formed in 1989, but its initial lineup was short-lived. Karl Buechner, (original bassist) formed a new lineup within the band in 1991, switching to lead vocals in the process. Buechner was joined by guitarists Scott Crouse, Ben Read, bassist Ian "Bulldog" Edwards and drummer Michael Riccardi. The band broke up on 2001, only to reunite in 2007. And I’m so glad they did. I must admit that I never heard of this band. But this album (witch will be out at the beginning o next month) is so powerful, melodic and gripping. From the first notes played on this record, I was hooked. The only regret I have is that it’s to late to go to a record store and buy some of their previous work.